Work on improving the A465 or the Heads of the Valleys Road was first mooted as long ago as 1990 but not started until 2005. Almost 30 years after the need for improvement was indentified, it’s great to see this remarkable engineering project getting closer to final completion – and it’s good to be a small part of it. 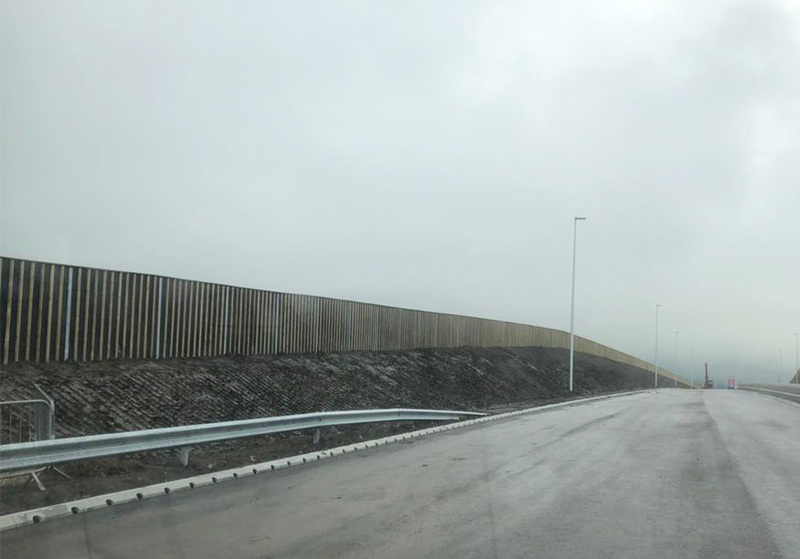 This picture shows a stretch of 200 of our acoustic fencing panels manufactured from plans supplied to exactly follow the contours of the embankment – and, of course, to comply with Highways Agency Specifications. The panels were installed by our valued customer GT Jones of Crickhowell. Whilst we hope to take more pictures when the cloud lifts we have to acknowledge that given the location we might be in for a long wait and that, once opened, the road will never be as traffic-free again!